We know that one of your main worries about pursuing a medical negligence or injury claim will be ‘how will I pay for it?’ We want to take that worry away so you can be confident of our help whatever your financial situation. There are a number of options available to fund your compensation claim. We may enter into a Conditional Fee Agreement (CFA) – also called a no win, no fee arrangement – with you which means we only receive payment of our fees if the compensation claim is successful. With a no win, no fee compensation claim, in the event of a ‘win’, we are entitled to recover our costs from the opponent. Recent legislative changes (April 2013) provide that lawyers may charge their clients a “success fee” if their case is successful. This success fee is capped at a maximum of 25% of general damages (a rounded sum of compensation in respect of pain, suffering and loss of amenity), and past financial losses. The percentage amount of the success fee is designed to reflect the risks in the case, and the lawyer’s risk of losing and not being paid. In many cases, the risk will reduce as the case goes on, particularly if the opponent admits liability. The amount of the success fee will depend on the individual circumstances of each case and the stance adopted by the other side. Many people have Legal Expenses Insurance (LEI) as part of their motor or household insurance without being aware of it. These policies can often help people to bring a compensation claim by assisting you with the expenses of paying for a solicitor. We can help you find out whether you have cover and assist you in filling out the necessary forms. If you are member of a Trade Union you may be entitled to receive funding for your claim. We can contact them on your behalf and find out whether they are prepared to help. In order to qualify for legal aid you must satisfy a three stage test. The first is the financial means test. Your income and capital must fall below set thresholds to qualify or you must be in receipt of certain State benefits. The second is a merits test. The Legal Aid Agency must be satisfied that there are sufficient prospects of success to warrant further investigation. The final test is a costs/damages ratio test. The value of the likely damages to be awarded must considerably outweigh the likely cost of pursuing a claim. Legal aid is still available for cases involving certain types of medical negligence. We have a Legal Aid Agency franchise in medical negligence which allows us to act for clients who are eligible for legal aid. Legal aid in medical negligence cases are restricted to cases involving those who have been injured during pregnancy, labour, or the first eight weeks of life. Funding will usually be available for claims of this nature, even where prospects of success are uncertain and regardless of a Claimant’s financial means. The strict criteria mean that, in reality, only relatively serious injury claims or claims for children are likely to qualify for legal aid funding. There may be exceptional circumstances where legal aid can be extended for assistance at inquests. We will discuss this with you further if this applies to you. You may wish to pursue a claim privately. We can advise you on the costs involved in undertaking an initial investigation so you can be sure you always know how much you will have to pay. To find out more about funding your medical negligence or injury claim, call us now on 0800 316 8892 or contact us online. Can I change my injury or medical negligence solicitor? Philip Edwards is a partner in Clarke Willmott solicitors' Birmingham Serious Injury team specialising in amputation, spinal cord injury. 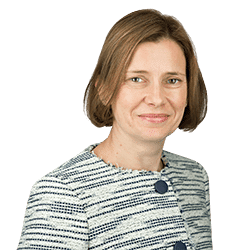 Kerry Fifield is a partner in Clarke Willmott's Bristol Clinical Negligence team specialising in birth injury claims for Claimants with cerebral palsy. Lee Hart is a partner in Clarke Willmott solicitors' Taunton Personal Injury team specialising in catastrophic injury and fatal accident claims. 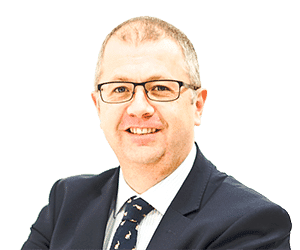 Martin Pettingell is a partner in Clarke Willmott solicitors' Bristol Personal Injury team specialising in child and adolescent traumatic brain injury. 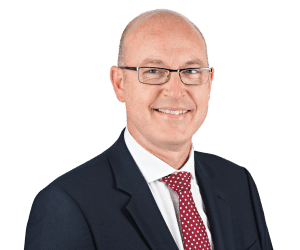 Chris Thorne is a partner in Clarke Willmott solicitors' Southampton Personal Injury and Medical Negligence team specialising in medical negligence claims. 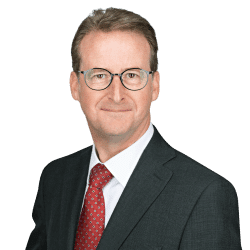 Stephen Trump is a partner in Clarke Willmott solicitors' serious injury team specialising in amputation, traumatic brain injury and fatal injury.